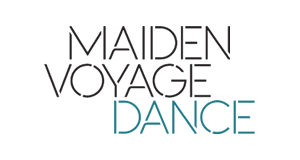 Maiden Voyage works with local, national and international collaborators bringing the best of dance performance and practice to Northern Ireland. We were set up by Artistic Director, Nicola Curry in 2002 and joined in 2012 by Company Manager, Eibhlin de Barra. The commissioning, producing and touring of new work keeps us busy and throughout the year we offer opportunities for professionals alongside opportunities for those new to dance through participation and partnerships. Alongside producing and touring new work the company deliver professional development opportunities and initiative a diverse range of educational and outreach activities to encourage participation in dance. We offer a range of development opportunities throughout the year; from daily company class, to bespoke training initiatives including DanceLab and somatic movement masterclasses.